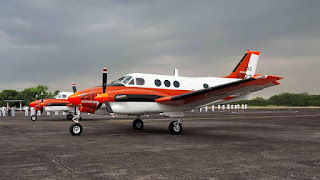 MANILA, -- The Philippine Navy (PN)'s humanitarian and patrol capability got a big boost the Japan Ministry of Defense (JMOD) formally transferred two units of the Beechcraft TC-90 training aircraft Monday morning. Transfer ceremonies took place at the Naval Air Group headquarters, Naval Base Heracleo Alano, Sangley Point, Cavite City. The two aircraft landed at the said facility around 10 a.m. Present during the transfer ceremony was Defense Secretary Delfin Lorenzana and his JSMOD counterpart Kenji Wakamiya. PN spokesperson Capt. Lued Lincuna said these aircraft were leased from the JMOD as part of the Navy's efforts to enhance its capability in humanitarian assistance and disaster relief operations, limited transport, and maritime domain awareness including maritime air surveillance and intelligence surveillance reconnaissance. The whole project involves five units of TC-90s. The remaining three units are expected to arrive by mid-2018. Last November, two PN pilots and six air crews left for Japan to start their TC-90 flight training. The Department of National Defense (DND) earlier announced that the Philippines will be re-equipping the TC-90s as Japan have stripped of some its equipment, including its surveillance systems. The country will pay Japan USD7,000 each for the first four aircraft yearly and only USD200 for the fifth, or total of USD28,200 as stipulated in its lease agreement. The DND added it is also looking at the possibility of using the TC-90 for 20 years while the military is upgrading its equipment. 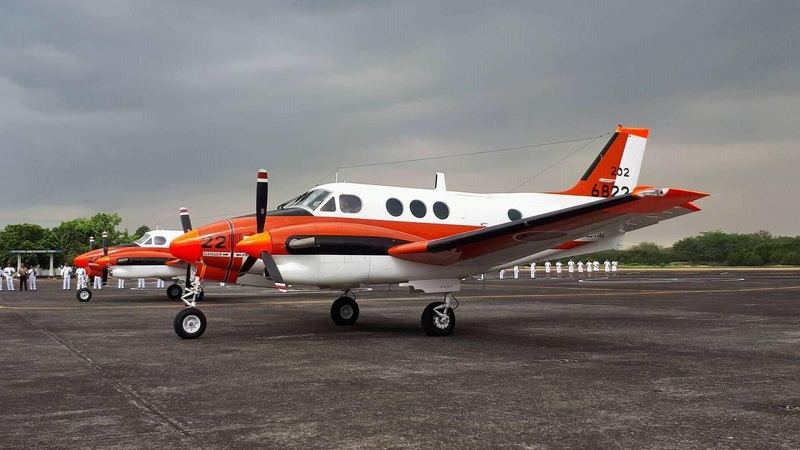 The TC-90, which is part of the Beechcraft King Air aircraft family, was offered by Japan shortly after the Agreement Concerning the Transfer of Defense Equipment and Technology was finalized last Feb. 29, 2016. The TC-90's patrol range is double those of small Philippine aircraft which only has a maximum range of 300 kilometers. The two Beechcraft King Air TC-90A aircraft, with tail nos. JN6822 and JN6824.